A royal wedding treatment that originated from a three centuries-old massage tradition amongst the Javanese Royalties. 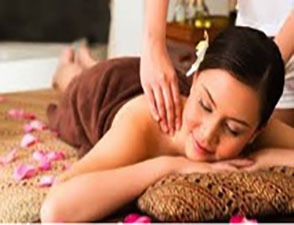 The Javanese massage is a whole body choreographed treatment, using medium deep tissue massage techniques with use of herbal massage oil. During this treatment, the therapist used mild strength pressure to stroke, knead and hand knuckles to break down tensely knotted muscles to stimulate the body’s lymphatic system. These movements is effective in reducing cellulite, improving blood circulation and increasing energy flow. Combined with the use of Lemongrass oil in Adept’s Special Javanese Massage, it is going to feel a sense of ‘surrender’ for those tired, sore and cramping muscles! Lemongrass oil can even help with fluid retention and an excellent oil for slimming massage. The many physical benefits to your body with lemongrass oil massage will also release that powerful aroma into the air. Benefits of breathing it, brings a sense of clarity, stress relief, and energy boost. Foot reflexology is the art of applying pressure to different points on your foot. The theory behind reflexology is that these reflex points relate to specific organs and glands in the body, and stimulating those points with finger pressure promotes health in those organs and glands via the body’s energetic pathways.This human touch in reflexology creates a sense of calm and relaxation. The massaging and application of pressure to your feet will help to improve blood circulation, relieve tired feet, reduce stress and provide better sleep to bring peace of mind. Drawing on ancient rituals with modern day touches, Adept’s unique style merges old with new to create luxurious treatments that recharge your body’s essential energies and envelop you in a world of new discovery. Massage time ranging from 10mins – 90mins are accepted and preferably with appointments for longer sessions. Short but sweet, tension will slip away as your neck and shoulders and upper back are massaged. Perfect for those on the go! This is a Swedish massage using oil and long strokes to calm and soothe. It is relaxing and leaves your body and mind at peace and stress-free. This massage is perfect for those who seek a stronger massage with deeper, intense pressure on certain areas. This massage technique alleviates tight muscles and chronic patterns of tension in the body. The client usually feels sore the next day but energised by the treatment. 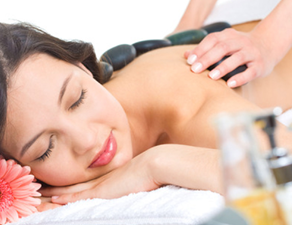 At Adept, we may introduce hot stones and body candles in combination for your massage. This involves inserting a lighted, hollow candle made from fabric coated with beeswax into the ear. It creates a vacuum in the ear canal which draws out excessive earwax and any minor impurities which may be present. It leaves you with a relaxing and soothing effect on the mind and body. This East Asian scraping technique is to relieve symptoms of sickness, generally to balance the flow of qi and improve circulation. A session will last from 15 to 45 mins depending on how many areas are addressed. The therapist will use a smooth edged tool to stroke over the area. Stroking is done continually until the ‘sha’ is released. A red rash will appear as the tissue releases. It will take several days for the rash to fade.